Might as well bring this one back up. I wonder if Paramount might be spurred by the success of the reboot of the Star Trek franchise with a new cast in classic roles. I don't like the idea of CGI. I believe that we should just leave the movie and it's sequel as it is, a Classic. And the chances of Coppola directing another Godfather is slim to none and without Coppola directing, the movie just wouldn't seem right. That is of course my opinion and I could easily be proven wrong. Who really knows how properly it could be executed. 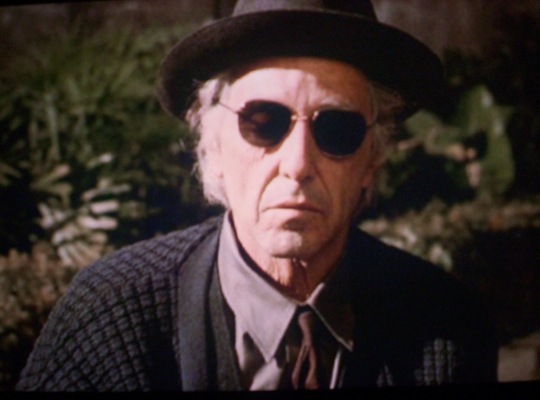 What if Vincent asked Anthony to oversee the still-legitimate side of the Corleone family business? Anthony gradually gets drawn into the darker side of what it is to be a Corleone, but at the end, after the death of Vincent, he walks away from it. Last edited by The_Little_Man; 07/17/13 07:40 PM. After Mary's death, Anthony would want no part of the family business, legit or not. In my fantasy Part IV, I envision Anthony taking revenge on Vincent...blaming him for Mary, and in turn, becoming part of the family, which is something his father wouldn't want now after losing one child to the business. I envision a Part IV with Vincent's death, and Anthony closing the door on Michael, a la Kay, in Part I. Taking that a little further, then, Anthony could essentially be working from within, DELIBERATELY doing all he could do to bring down the Family. Revenge is a very Sicilian thing, after all -- I think they do it better than almost anyone, at least in the world of the Godfather! Coppola says in his commentary of the films on DVD and Blu-ray that he envisioned a final film with Puzo in which there would be one more scene between Michael and Vincent before Michael's death. So that means that a fourth film would probably take place in 1996-97. Pacino is now 74, the age Michael Corleone would be in 1994. Garcia in recent photos has looked a lot like ... uhm... Francis Ford Coppola, with beard, etc etc. Talia Shire is 68 and seems semi-retired, although she does attend Hollywood functions and could probably make an appearance as a late-70s Connie. Franc D'Ambrosio has never appeared in another movie, although he has done a lot of opera and stage work, so theoretically he could play Anthony -- unless Paramount wanted to recast with a bigger name. I think ANY Godfather IV would almost have to include a couple of Vito's other grandchildren: Santino Jr., Sonny's legitimate son, and Connie's son Michael Francis Rizzi-Corleone, the baby shown being baptized during the mob massacre at the end of GF I in 1955. Santino could be explained as having left the Corleone family orbit and moved away to Florida to pursue "legitimate" business during GF III. Michael Francis could be shown as the result of Connie's neglectful parenting in GF II -- it was commented at the time (1959-60) that her older son, Victor, had already been involved in crime, so it would be no big stretch to explain that Michael Francis had been in trouble with the law much of his youth and was off in prison in 1979-80 when GF III took place. IMO, over the years and multiple divorces, Connie would have dumped the surname Rizzi and any other of her husband's names, and returned to the use of her maiden name -- she always considered herself a Corleone above anything else -- and probably changed her sons' names too. So by the mid-1990s, Michael Francis Rizzi-Corleone would be about 40 -- an age for which Robert Downey, Jr., 49, could easily pass. Downey certainly resembles Pacino enough it would be no stretch to sell him as his nephew (or Connie's son). The theme of GF IV could be Vincent's tenure as Don running into trouble due to bad decisions such as getting involved in narcotics trade, and Santino Jr. and Michael Francis competing to take over after his downfall. Anthony could return as the "Tom Hagen" figure serving as the legal brains of the family -- his loyalty would be crucial to decide which cousin would take control. So you would have Sonny's illegitmate son leading the family into disaster, with Sonny's legitimate son and Connie's son competing to replace him -- with Michael's son advising them all. Last edited by EnzoBaker; 06/22/14 01:00 AM. It would be nice to see Pacino play Michael Corleone one last time and not phone it in like he did in 3. I'm watching Two For The Money right now, and honestly I can't think of any character Pacino has played similar to old Michael from 1 and 2. He's a totally different person now. Can't even picture him playing that serious Michael Corleone character. Just imagine him doing GF 4 and nailing the old Michael. Being convincing. That would be something. Nothing wrong with hoping. Like hoping this Scorsese Hoffa movie actually gets done. For that matter, the only indication that the death of Michael Corleone took place in 1997 is off-camera commentary by FFC. There is nothing in-story continuity in GF III that indicates any particular year it has to be. Obviously Michael is very old and now mostly blind, but really that could be anywhere from 1985 to 2015. Michael was born in 1920, so he could be an aged and sickly 65, or he might be a well-preserved 95. Some people do reach a kind of 'aging plateau' and don't look much different at 90 than they did at 70. So that could open quite a bit of flexibility for a possible GF IV. The date of the death scene isn't set in stone. Last edited by EnzoBaker; 08/11/17 08:55 PM.